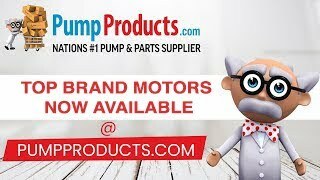 PumpProducts.com is excited to announce the newest addition to our newly designed website:MOTORS! 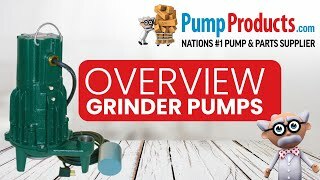 Not only is PumpProducts.com the Nations #1 Pump & Part Supplier but now we have added Motors to that title! We are now partnered with the most dependable manufacturers in the industry: Baldor, Leeson, and Marathon. We offer all types of motors such as Brake, Definite Purpose, Farm Duty, IEC Frame Motors and so many more. Need help selecting the correct motor or can't find the one you are looking for Don't worry, we have highly trained salesmen on staff to assist all your motor needs! 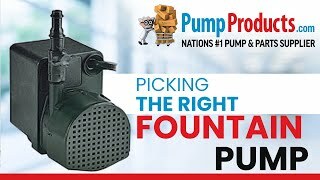 Give us a call today at 1-800-429-0800 or visit us online at PumpProducts.com for all your Motor, Pump and Part Needs! Marine pumps are designed to pump salt water and fresh water mixed with sand, debris and other abrasive particles. Marine pumps are suitable for dredging, boat and pier maintenance, emergency bilging and wash down. 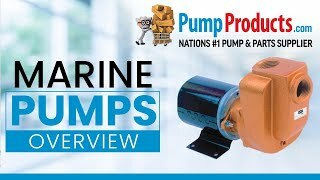 PumpProducts.com offers premium marine pumps from AMT and BJM at some of the best prices on the web. Pump Products' applications engineers are happy to work with customers to figure out the right pump for your application and budget. Call 1800-429-0800 to speak to an expert. Subscribe to our channel for more how-to guides, product highlights and general information about pumps. Irrigation pumps are designed to supply water for general lawn and landscape irrigation applications. Many of the models listed here are self-priming and can reach high heads. The pumps can also be used for lawn sprinkling, fountain, garden and general water transfer applications as well. Pump Products carries lawn sprinkler pumps from top-flight manufacturers such as Goulds, Zoeller, Berkeley, Little Giant, AMT and Red Lion. Pump Products' applications engineers are happy to work with customers to figure out the right pump for your application and budget. Call 1800-429-0800 to speak to an expert. Subscribe to our channel for more how-to guides, product highlights and general information about pumps. 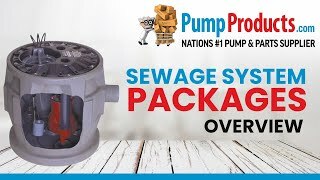 Sewage system packages include a sewage pump and various other accessories to help maintain your system. Most packages in this listing will include a basin to house the pump and other accessories. Simplex (one pump) packages are ideal for domestic or small business systems. Duplex (two pump) packages are better for multi-unit residences (such as apartment buildings) and for commercial or industrial use. We also carry sewage system packages from manufacturers such as Goulds, Barnes and Zoeller. Pump Products' applications engineers are happy to work with customers to figure out the right pump for your application and budget. Call 1800-429-0800 to speak to an expert. Subscribe to our channel for more how-to guides, product highlights and general information about pumps. Explosion proof pumps are designed to operate in potentially hazardous environments such as chemical plants, mines and oil rigs. Motors and other vulnerable parts are insulated to prevent combustible elements from igniting vapor and causing internal/external explosions. Hazardous locations are defined by the NEC (National Electric Code) and NPFA (National Fire Protection Association). All pumps listed here meet the requirements set by those agencies. 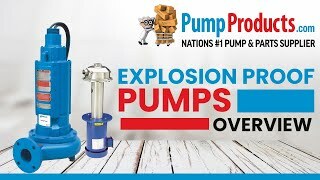 PumpProducts.com carries explosion-proof pumps from manufacturers such as Liberty, Zoeller and Goulds. Pump Products' applications engineers are happy to work with customers to figure out the right pump for your application and budget. Call 1800-429-0800 to speak to an expert. Subscribe to our channel for more how-to guides, product highlights and general information about pumps. Submersible fountain pumps are used to continually recirculate water in fountains, pond aerations, filtration systems and decorative water displays. Correct sizing is important in choosing a fountain pump, so know the maximum lift and maximum head height. 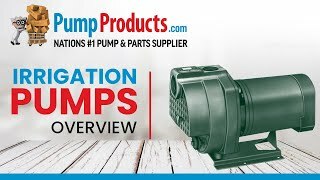 PumpProducts.com carries fountain and water display pumps from Barnes, Little Giant and Zoeller. Pump Products' applications engineers are happy to work with customers to figure out the right pump for your application and budget. Call 1800-429-0800 to speak to an expert. Subscribe to our channel for more how-to guides, product highlights and general information about pumps. Submersible shredder pumps use a shredding mechanism plate to cut through stringy, fibrous or sludge type waste. Shredder pumps are typically used in sewage pumping station, sewage treatment plant, septic tank and water drainage applications. 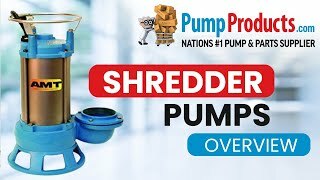 Pump Products carries shredder pumps from AMT and BJM. Pump Products' applications engineers are happy to work with customers to figure out the right pump for your application and budget. Call 1800-429-0800 to speak to an expert. Subscribe to our channel for more how-to guides, product highlights and general information about pumps. Sink drain pumps are compact, easily installed pump that are typically installed underneath a sink in an area where a direct drainage line is not available. Sink drain pumps are often used in basement wet bars and laundry tray systems. Many of the sink pump systems include a ready made basin. 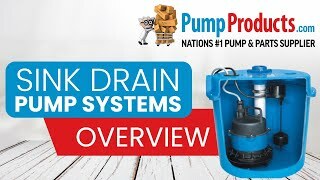 PumpProducts.com carries sink drain pump systems from top manufacturers such as Goulds, Liberty and Zoeller at some of the lowest prices online. Pump Products' applications engineers are happy to work with customers to figure out the right pump for your application and budget. Call 1800-429-0800 to speak to an expert. Subscribe to our channel for more how-to guides, product highlights and general information about pumps. Grinder pumps shear large solids in wastewater down to a fine slurry that can be directed to a central sewer system. Grinding the sewage into a slurry also allows the pump to reach higher heads. Grinder pumps are commonly used in a variety of commercial and industrial applications. 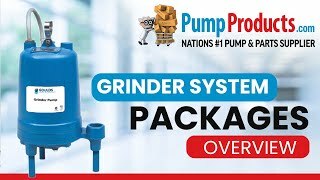 PumpProducts.com carries a select range of quality grinder pumps by the industry leading manufacturers like Zoeller and Liberty. Pump Products' applications engineers are happy to work with customers to figure out the right pump for your application and budget. Call 1800-429-0800 to speak to an expert. Subscribe to our channel for more how-to guides, product highlights and general information about pumps. High temperature pumps are built to operate for high temperature applications such as transporting boiler wastewater or hot oil in a refinery. Pumps come in various types and construction (typically cast iron or stainless steel). 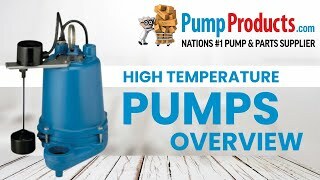 PumpProducts.com sells high temperature pumps from Goulds, Zoeller, Liberty, Barnes and BJM at some of the best prices on the web. Pump Products' applications engineers are happy to work with customers to figure out the right pump for your application and budget. Call 1800-429-0800 to speak to an expert. Subscribe to our channel for more how-to guides, product highlights and general information about pumps. 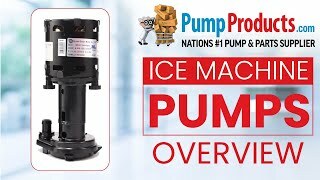 PumpProducts.com carries a large variety of high quality ice machine pumps to fit the most popular brands of ice making equipment such as Cornelius-Ross, Manitowoc, Scotsman, Frigidaire and Whirlpool. Our replacement ice machine pumps conform to National Sanitary Foundation and UL standards, ensuring clean, safe, simple and sanitary replacement. Pump Products' applications engineers are happy to work with customers to figure out the right pump for your application and budget. Call 1800-429-0800 to speak to an expert. Subscribe to our channel for more how-to guides, product highlights and general information about pumps.